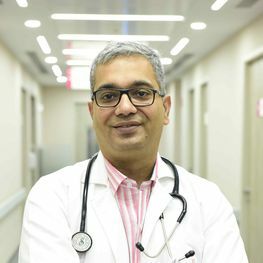 Dr. Siddhesh Pandey with an MD in Radiodiagnosis and over 17 years of experience, is a renowned name in field of ultrasound, cross-sectional imaging and teleradiology. He has worked with many prestigious Hospitals in Delhi NCR including Indraprastha Apollo Hospital, Paras Hospital and Alchemist Hospital. He finished his MBBS from King George’s Medical University, Lucknow and MD in Radiology from SN Medical College, Agra with a National Gold Medal. He has authored 3 books in the field of Radiology for WHO. His areas of interest include gynaecological, obstetric and breast imaging, dexa scans, 3D and 4D Ultrasounds, ultrasound guided interventions and colour doppler among others.